The combination of advances in technology and the weak economy have altered the job market as we know it. Job searches go way beyond submitting a resume and cover letter. They now consist of strategical networking and gaining recognition within your industry. In other words, spreading the word about YOU. 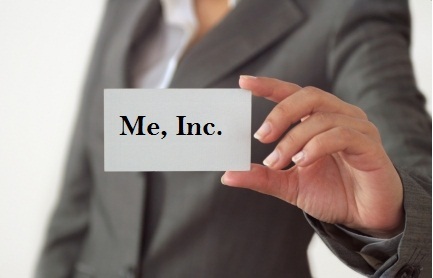 Personal branding is essential to making an imprint in your industry and furthering your career. In the same sense that you want your resume to stand out to a hiring manager, your name needs to the same for your network. When people can define you, they will remember you. 1) Knowing your unique qualities. Figure out what is undeniably you and try to shape your brand around the ones that you want to focus on. 2) Knowing how you want others to view you. Once you've gotten your personality style down, you'll need to establish your appearance style. Looking the part is important for being able to play it. This doesn't mean you need to be outrageous, just consistent. Keep in mind that this doesn't only apply to your looks, but also symbols or artwork that is authentic to you. 3) Knowing where you fit in. Like any marketing strategy you need to be able to identify who your audience is as well as the people you want to call colleagues. This will allow you to focus your message and energy to a certain group of people. Establishing a solid, recognizable personal brand times time and lots of effort. You have to be constantly promoting yourself without being overwhelming. Some other things to remember are to build online resumes or porfolio through a variety of websites such as a Wordpress blog. Also make sure that your social media profiles are clean and professional. You will need to be actively using these to connect with others so keep your personal sites seperate.